What the heck! If you hang around or visit BBQ teams at contests in the California BBQ circuit, you’ll likely run into teams making ABT’s or Atomic Buffalo Turds. 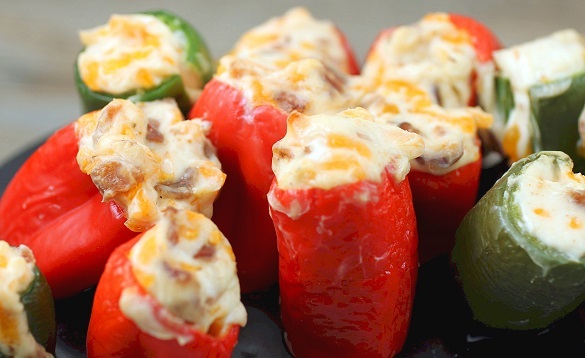 Despite their colorful name, they are yummy appetizer morsels of some type of stuffed pepper with various fillings including cream cheese, grated cheddar, bacon, mini hot dogs, bell peppers, and onions. 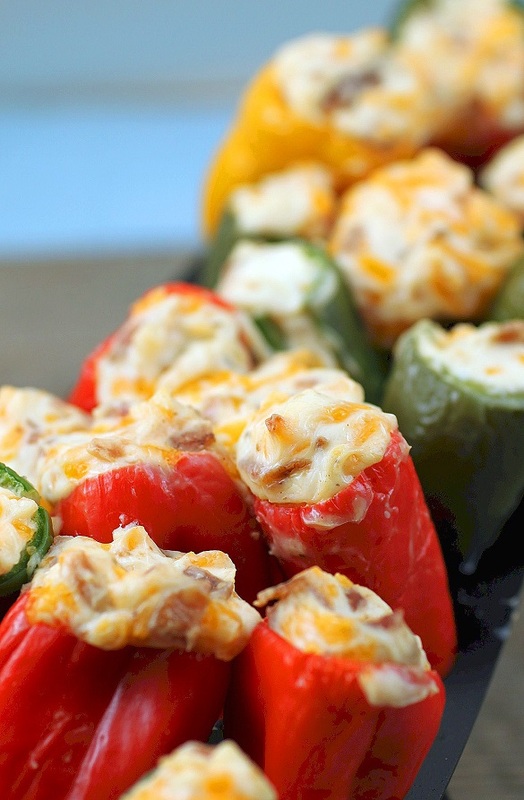 The pepper of choice is usually jalapeno but it can be any kind of pepper. 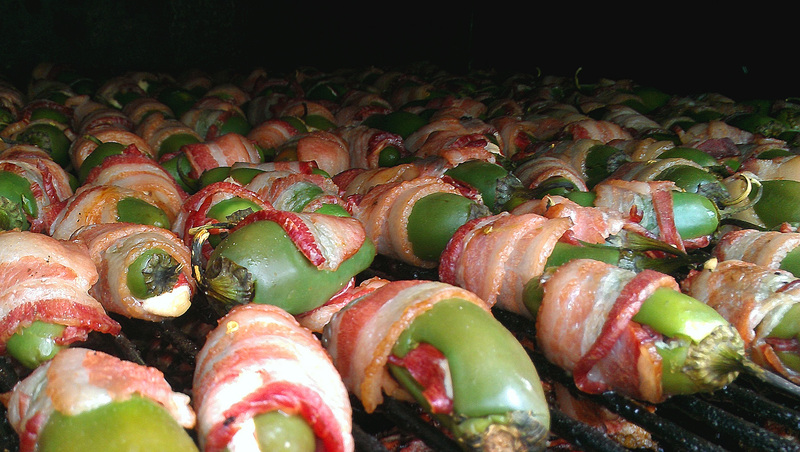 Not to worry, the heat of the jalapeno popper is tempered after grilling or smoking. 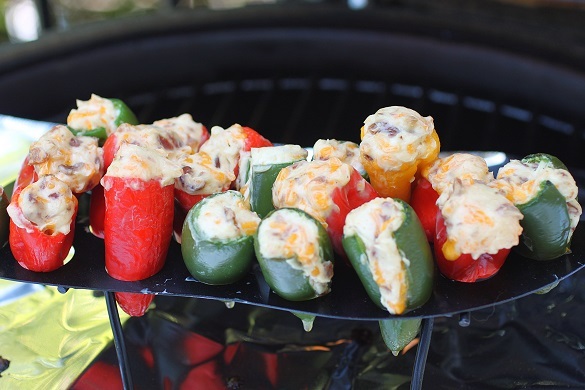 Since I usually have kids and folks who don’t care for spicy food at my parties, I add some sweet mini red and yellow peppers which are bursting with flavor but not heat. There is no right or wrong way to make them so try my easy recipe for ABTs at your next party. It only has a few ingredients and you can get your guests to help make them. Make plenty because they go fast! The red ones are sweet. The green ones have a little heat!